There is a drastic decline in the application of student visa to US. The United States of America has recently witnessed a remarkable decline in the number of international students enrolling into the American Universities. This is believed to have crucial repercussions on the financial environments of these universities. Among other reasons, one striking factor could be the American Government’s new immigration policies. Arguably, the Americans complained of the foreigners grabbing their university seats, and later their jobs as well. The new American President promised to safeguard the rights of the American students and workers by adding stricter clauses on both work and student visas. The numbers of student visas issued in the US, also known as F-1 visas have been crippled down dramatically. The State Department issued 393,573 number of student visas by September 30, 2017. This number is 17% lesser than in 2016, and 40% lesser than in 2015. The US’ top source of international students, China, witnessed a total drop in visas issued by 24% in 2017. Most strikingly, the biggest drop off (28%) came from the second largest feeder of foreign students in the States, India. 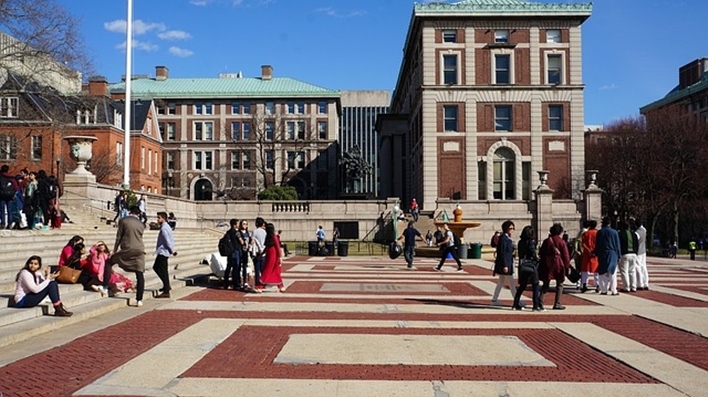 Under these new circumstances, it’s been an obvious move on the part of the international students to step back from their academic plans for higher education in the USA. As per a report, the number of international students studying in the US has declined by 4% in 2017 from 2016. Interestingly, the Indian students comprise more than half of this 4%. Thanks to these stern visa scrutiny and rejections, the international enrolments at the University of Houston-Clear Lake slipped from 1, 494 in 2015 to 894 in 2017. According to the Vice President of the Kent State University, the number of Indian students enrolling in the University in 2017 is a miserable 265, compared to 1, 017 in 2016. Restricted student visa policy, dimming prospects of work authorization in the US after completion of higher studies in the country, and the cases of immigration violence have demotivated several Indian as well as other foreign students from studying in the States. A lot of Indians have also withdrawn from the country after completing their academic tenures due to the stringent scope of employment there at present. This has led to the fewer application of student visa to US. The number of Indian students at the graduate-level programs in Engineering and Computer Science has conspicuously declined by 21% from 2016 to 2017. The number of Indians in the undergraduate courses has increased by 740. But that couldn’t compensate for the whopping decline in the number of the graduate-level courses by 18,590 in 2017 from its previous year. While a lot of international students are disillusioned by the new visa policies, yet they haven’t lost much considering the inviting immigration-friendly enrolment packages offered by countries like Canada, Australia, and even the United Kingdom. However, according to the National Foundation for American Policy (NFAP), a non-profit public policy research organization, this trend might end up poorly affecting the American Universities more. A lot of American colleges and universities falter in maintaining quite a few graduate and undergraduate programs in the absence of the international students. According to the American Universities, absorbing international students into the universities help enrich the cultural experience for every student in the campus. Most importantly, foreign students consolidate school finances against state funding cuts. The international students pay twice or thrice as much as the resident students at the public universities. For instance, the per semester fees for a resident undergraduate student at the Idaho State University is $3,583; whereas that for a non-resident student is $10,971. If this declining trend of international enrolments continues, it might lead to greater exacerbation of the financial conditions of the American colleges and universities. International Travel – Why American Travelers are a Rarity?